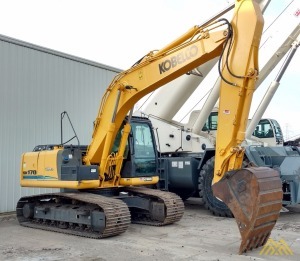 KOBELCO offers crawler excavators in the 3, 000 lb. to 245, 000 lb. classes including zero tail swing, compact, standard, long-reach, mass excavation, and demolition models. KOBELCO is committed to producing quality machines with advanced productivity-boosting features and innovative technologies. With premier capabilities such as no time limit power boost and exclusive independent travel, KOBELCO machines ensure superior performance and efficiency for the toughest worksite challenges. Kobelco’s Crane division is also a global leader in the manufacturing of hydraulic lattice-boom crawler cranes.